As a structural engineering student travelling to Haiti with a small group of fellow students (SESH), I intended to apply my knowledge of structures in a way that would develop communities and directly benefit people. During my brief, yet eventful, 10-day visit, I encountered the reality, obstacles, and successes of a nation susceptible to devastating natural disasters. As a foreign volunteer group seeking to aid a society distressed by an earthquake, I realized we are not alone in this endeavor; many non-profit organizations have made their way to Haiti with the same intention. However, the notable difference is in our chosen approach and objective in providing aid. Haiti’s geographical susceptibility to tropical storms, flooding and earthquakes places it in a constant state of potential disaster. While some non-profit groups seek to deliver immediate relief during such situations by providing basic needs, others aim to provide long-term assistance by enabling development. While both are fundamental in the reconstruction process, I became aware that the fusion of the two ideas is most successful. I felt very fortunate to work with Miyamoto Global Disaster Relief. It allowed me to grasp the potential and incredible influence that non-profit engineering can have. It became apparent to me that building a safer, post-earthquake Haitian infrastructure was essential. The site-visits SESH participated in revealed to our group how effective development can be made through the inclusion and encouragement of the Haitian people. Visiting the Cabaret housing projects, the Miragoane Cathedral and assisting with hospital and school retrofit plans was motivating; it allowed me to personally witness the development of the social, health and educational sectors of Haiti on a local scale. 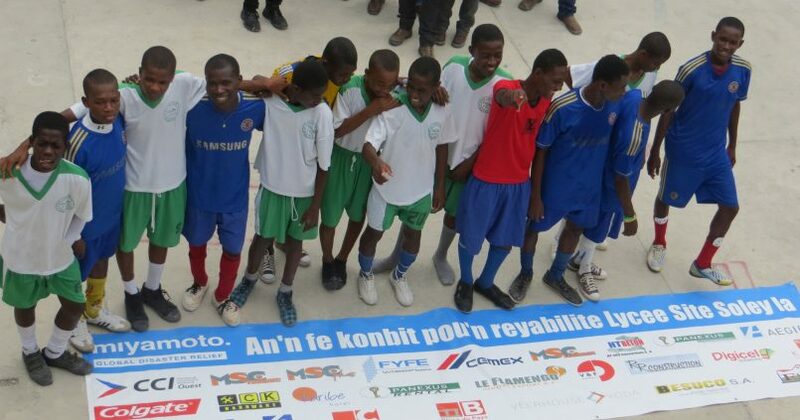 One of the most memorable sites we visited was a secondary school, Lycèe National de Citè Soleil. 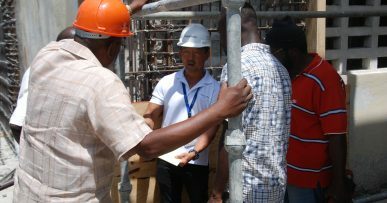 Being able to participate in the evaluation of the seismic retrofitting of the school revealed so much about the process of strengthening buildings in Haiti. It was inspiring to see the retrofit being executed by Haitian contractors using donations provided mainly by the local private sector, as opposed to foreign aid. The site visit also served as a learning opportunity as adjustments were made to existing plans and adapted by the contractor. The championship soccer game that took place in the courtyard during our visit exemplified a spirit detectable in all parts of Haiti we visited. A spirit of solidarity, resolute hope and determination rang out every time I spoke with someone about Haiti and its future. The patient happiness and friendly faces of the local builders, engineers and people I met defined my experience in Haiti. This experience convinced me that teaching and empowering a community with a desire to be self-sufficient through local means generates a contagious confidence and a desire for knowledge that perpetually drives it forward.